Happy Friday, folks. Here are just a few things that have been making us happy around here. We have been on such a mexican kick lately. Something about the summer just screams tacos no? We had black bean burritos yesterday and I made a big batch of chicken tortilla soup that we've just been demolishing. Costco also has this seven bean dip that I need to buy this weekend when people come over so I don't eat it all by myself. Now we've all heard about the five second rule but hear this one. I started the book The HAppiness Project a couple years ago but maybe it was my emotional state at the time of reading it (I just had baby #2), I just couldn't get into it. I started listening to Gretchen's podcasts though and she speaks about the one minute rule where if you can do something in one minute, just do it already. Helps you to just get yourself free from clutter, disorganisation and those little tasks. It's the earlies but been really working for me! Highly recommend! It's here! Finale week is bittersweet! On the list to watch is Nashville, Scandal, Grey's and DWTS. I'm not ready to say good-bye to Donald Draper. 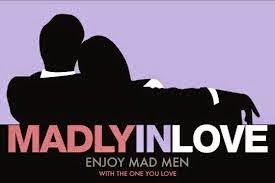 Is anyone else watching the series finale Mad Men this Sunday. D and I started watching it a couple years ago and are totally hooked. We save it all up and then binge watch which is what we've been doing this week! I'm curious scared excited to see how it all ends. Check out my sweet stash D got me from S&D as part of my Mother's Day gift. I really wanted to silver necklace and the earrings but he threw in the statement piece as well…. He might just have better taste than I do! It's a long weekend here! My parents are coming to town and we're celebrating D's birthday. Fri-yay indeed! And in case you want to see some sugar! Happy Friday! Stopping by from the linkup. We're watching Mad Men, too. We've watched from the beginning. I'm not a big fan of this season, but I am excited to see how it ends! 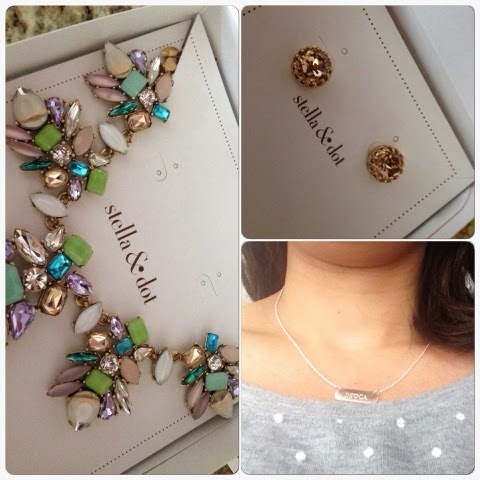 Mexican Food, Mad Men, and Stella & Dot - you speak my language! 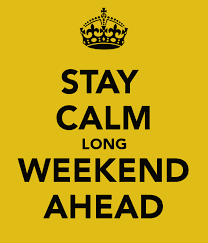 Happy Long Weekend! Love that statement necklace!!! S&D never fail.